All Posts Tagged With: "Celebrity Makeup"
Julie Bowen stepped onto the red carpet at the 2011 American Music Awards this evening wearing NYX Cosmetics. Julie Bowen (Modern Family) stepped onto the red carpet at the American Music Awards, at the Nokia Theatre, Los Angeles, CA, Sunday, November 20, 2011, showcasing a gorgeous, neutral look created by Makeup Artist Heather Currie for NYX Cosmetics. Talking Makeup and Marta Walsh has the inside scoop on what makeup some celebrities are going to wear on the red carpet at the 2010 Emmy Awards! Looks like NARS will be working with makeup artists to create looks for celebrities this weekend at the 62nd annual Emmy Awards! Love Twilight Kristen Stewart’s winged eyes? You can get this look with Milani Cosmetic’s EYE TECH Liquid Liner in Black (also available in Brown and Charcoal) for $6.99. 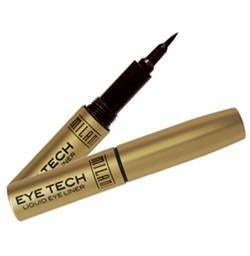 Liner is available on Milanicosmetics.com and in drugstores nationwide. Celebrity Makeup Watch at the 2009 Hollywood Style Awards Sunday night. Whose celebrity makeup look do you want to copy most? Bryon Williams, whose clients include Demi Moore, Kirsten Dunst, Nicole Richie, Joy Bryant and Jordana Brewster, says “eye shades in pink, lilac and deep purples will be making a big comeback. You can create this look by using Neutrogena Nourishing Eye Duo in Fairy Dust or Sugar Plum. 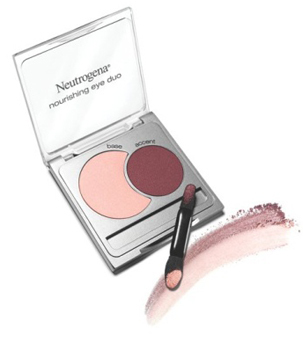 The Neutrogena Nourishing Eye Duos are perfectly coordinated eye shadow duos that not only enhance eyes but condition eyelids too. The base shade contains natural soy, silk powder and Vitamins A, C, & E. The accent shade contains luminizing pearls to brighten eyes and add vibrancy. Both shadows are fade resistant and crease-proof, so your eyes stay looking beautiful all day long.